One way to break a Guinness World Record is by collecting something no one else wants. Just make sure you don’t settle on back scratchers, umbrella sleeves, or fossilized poop as your collectible of choice—those items (and more) already make up some of the most unique personal collections on earth. 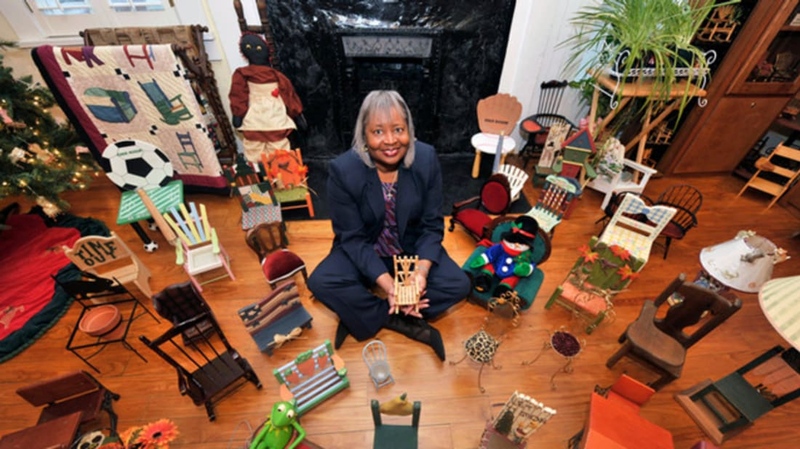 Shopping for pint-sized chairs began as a weekend hobby for Barbara Hartsfield, and after maintaining the habit for 10 years, she had built up a collection of 3000 of the miniatures by 2008. Today, tiny furniture enthusiasts can find chairs in bottles, bird feeder chairs, and chairs made from toothpicks and clothespins at her Stone Mountain, Georgia museum. Like many people, Harry Sperl likes hamburgers. But this Daytona Beach, Florida resident takes his passion beyond ordering the occasional burger at a drive-thru—he’s spent the past 26 years filling his home with at least 3724 burger-related items. Nicknamed “Hamburger Harry,” Sperl started his collection as a way to sell a vintage drive-in tray he owned. He purchased a few plastic hamburgers to use as props when photographing the collector’s item. From there, he purchased more burger merchandise for fun and started receiving them as gifts from friends and fans, who he calls his “hamburger helpers.” Today, the Guinness World Record holder owns everything from a hamburger waterbed to a customized burger Harley Davidson. He eventually hopes to open a museum in the shape of a double bacon cheeseburger. Some people who like to travel buy T-shirts, snow globes, or key chains to remember the places they’ve been. Rainer Weichert enjoys bringing back “Do Not Disturb” signs to his home in Germany instead. As of 2014, his record-breaking collection included at least 11,570 signs gathered from hotels, cruise ships, and airplanes in 188 countries. A couple of his more valuable items are a sign from the 1936 Olympic Village in Berlin and a 106-year-old sign from the General Brock Hotel in Canada. A trip to Manfred S. Rothstein’s dermatology clinic in Fayetteville, North Carolina includes a free look at the world’s largest back scratcher collection. The doctor owns more than 800 of the handy tools, hundreds of which are displayed in cabinets in the examination rooms and hallway of his practice. The spread includes one back scratcher with an alligator foot, another made from buffalo ribs, and three electric models from the early 1900s. Growing up in the Philippines, Percival R. Lugue treated his toys with a level of care beyond his years; it was a quality he never grew out of. Today he owns more fast food restaurant toys than anyone else on earth with over 14,500 in his possession. After earning the distinction from Guinness World Records in 2014, Lugue hasn’t slowed down. He told Lucky Peach that he eventually hopes “to collect all the fast-food toys that exist.” A 1999 Inspector Gadget toy from McDonald’s and a 1987 Popeye and Friends set from the Filipino chain Jollibee are two of his most prized pieces. Think of the mayhem you could cause with 500 traffic cones. 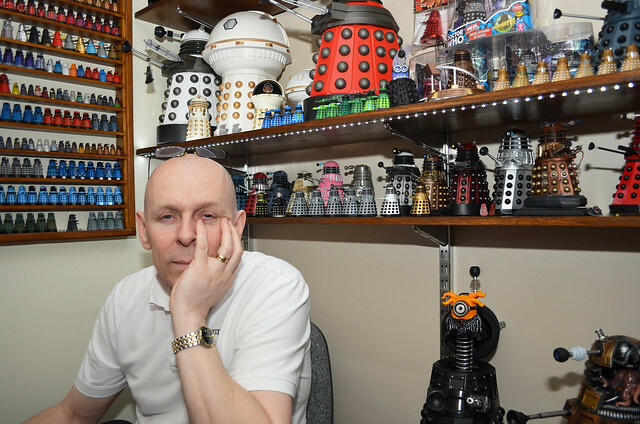 Fortunately, UK resident David Morgan doesn’t use his collection for nefarious purposes. His obsession began while working for Oxford Plastic Systems, the world's largest producer of traffic cones. In 1986, a rival manufacturer claimed that Oxford had copied one of their designs, so Morgan set off searching for a cone to prove the design wasn’t new. The incident sparked a lifelong passion for the product. Despite owning hundreds of them, Morgan told Somerset Live he would never consider stealing one “as they are a safety product."